UPDATED March 30, 2014 – Photos submitted are added as a gallery. 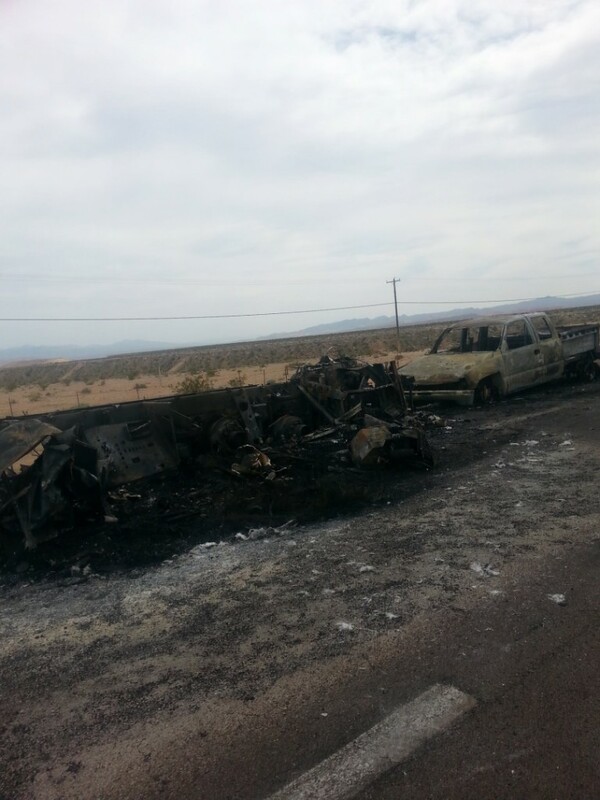 MOHAVE COUNTY – A vehicle fire around Nevada mile post 96 on northbound Interstate 15 caused major traffic delays Saturday afternoon. The incident, which took place north of Glendale, Nev., has been cleared and backed-up traffic is now heading toward the Virgin River Gorge, the Arizona Highway Patrol reported Saturday evening. Traffic in the gorge is already being reduced to one lane of traffic around mile post 16 due to reconstruction work on the bridge there. Individuals seeking to avoid traffic delays in the Virgin River Gorge may take Highway 91 as an alternate route. The highway bypasses the gorge entirely, intersecting with I-15 at Littlefield, Ariz. to the south, and connecting to St. George at the north via Santa Clara and Sunset Boulevard. See map included in this article. To stay up-to-date with the latest highway conditions around the state, visit the ADOT Traveler Information Center online. 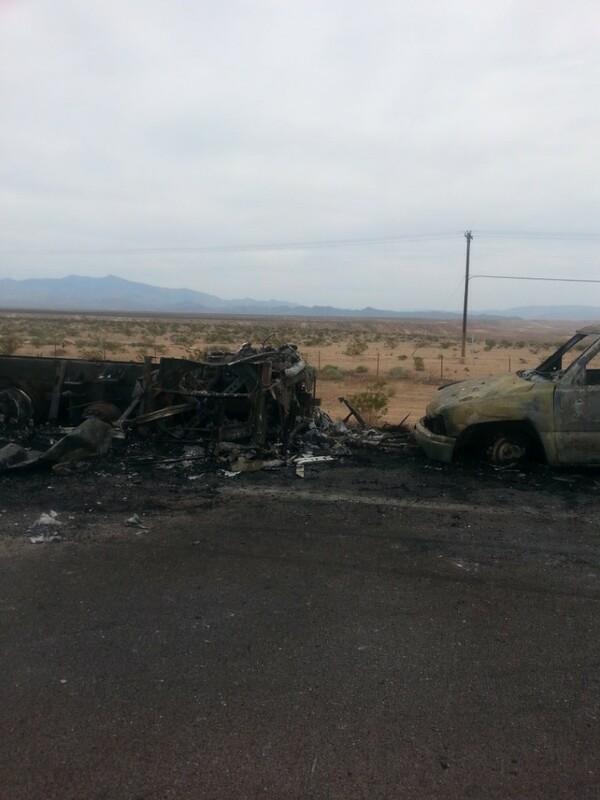 Travelers outside of Arizona needing to check road conditions may call 1-888-411-ROAD, or while in Arizona dial 511. More information about the I-15 Virgin River Gorge bridge projects is available on the ADOT website. What burned? 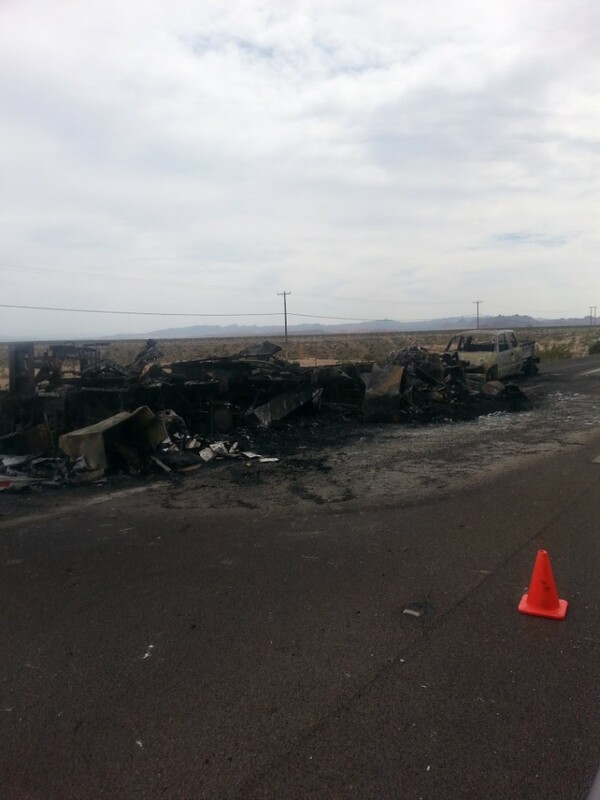 Was it a semi truck or a camper trailer or RV?